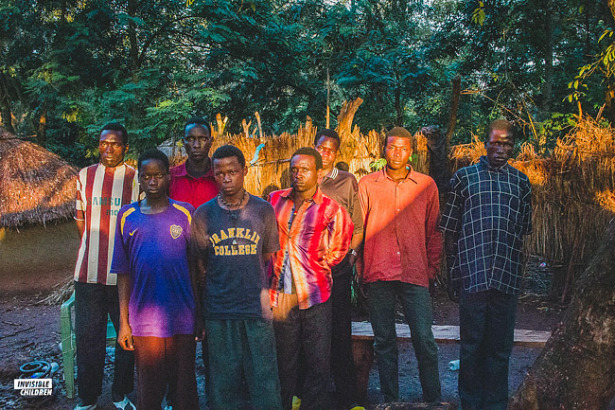 This week, Invisible Children released breaking news of the largest Lord's Resistance Army, or LRA, defection since 2008. On December 6, nineteen members, a group composed of nine males, four females, and six children, approached a fisherman in Tabane, a small village west of Zemio, Central African Republic. With weapons above their heads, they surrendered and asked to be brought to the UPDF (Ugandan military). After the fisherman brought them to safety, an act demonstrating great courage and bravery, Invisible Children’s Early Warning Network was alerted and the group was flown by helicopter to Obo, where they received medical treatment and now await to return to Uganda. Invisible Children began conducting interviews with the group upon their arrival, wanting to know more about their motives for escaping and if they had leads to the location of other LRA groups in the area looking to defect. A significant proof of success for Invisble Children came with their answers: the members of the group said that their primary motive to leave was the safety they felt from the weekly radio programs encouraging them to come home. After debating for the past year, they lost the fear of being killed as they escaped and realized the lies that were being told within the LRA. Commitment from members of the African Union, U.S. military advisors, civil society leaders and Invisible Children have been instrumental in this huge stride to restoring peace in LRA-affected areas. Visit Invisible Children to learn more about their mission to achieve #zeroLRA through facilitating the safe escape of abducted men, women, and children in the LRA.